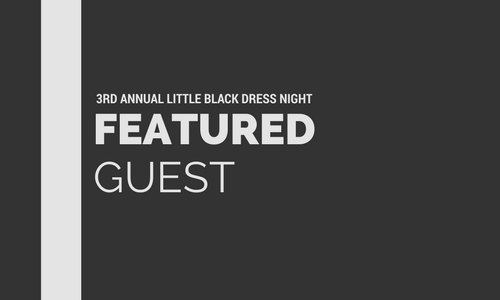 Leading up to the 3rd Annual Little Black Dress Night, we’re giving you the special chance to get to know some of our featured guests. 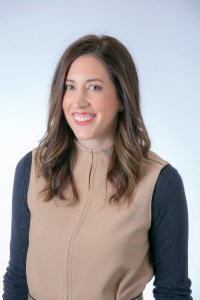 Kimberly Trautmann is the director at DRW VC. ChiTech: What led you into entrepreneurship? 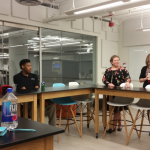 Kimberly Trautmann: I got my first taste of entrepreneurship when I started a jewelry business in high school. I made jewelry and sold it to stores. Now I help other entrepreneurs build their businesses as an investor. What led you to the position you’re in today? It’s not a straight line. I studied Art and Marketing in undergraduate, so I did not study anything related to tech in college. But I loved investing, so through a series of internships I ended up at my first job at Goldman Sachs, and now at DRW Venture Capital. 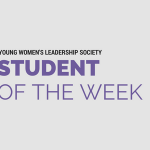 What was the most important thing you learned from doing internships? I had six internships in undergrad, which is a lot, but I loved it. I learned what having a commute is like, how to find my true passions, and how to use my skills to help people best. How long have you been in the position you have now? I have been investing in private companies for a decade, the last year at DRW VC, and also a year in Chicago! How do you see yourself making an impact on the company in the next few years? DRW is a trading business at its core but we have expanded to include real estate investing, cryptocurrencies and DRW VC. The firm is unique because we are so well diversified and lead with technology. DRW VC is building out a portfolio of companies in technology. We have great companies in the portfolio and I want to continue to build upon our success. Give me three words you would use to describe yourself. To make our portfolio even stronger by helping our current companies grow and finding new investments with potential, building a great team as we do it. I’d also like to make more life-long friends in the city, since I am new. What were some challenges you faced moving to a new city for a job? It was a welcome change and Chicago is beautiful. The people here made my transition so easy. So it wasn’t hard, and I’m lucky. I love my work at DRW VC too. I feel like I’m still building on great wins in the portfolio and my reputation as a strong investor. One of my mentors is Paul Walker who used to be the CTO at Goldman. I feel like I owe him a lot. He sponsored me to go to business school and he was always a great mentor. Otherwise I’m empowered by all the women who are investing and building companies as senior leaders. We’re going through a movement of increasing female impact, and it’s so exciting. An art director. I wanted to be the person who pulled together a magazine, for example. The reality of marrying work with my interests and actually experiencing the workplace. Art and fashion didn’t have as much of the analytic component I like. My intern path naturally shifted to that element. So what changed was experiencing different jobs and working through that. Investing is largely analytical, but it certainly requires creativity as well. My first grade teacher. She taught me how to be a good and kind person and make decisions that are grounded in my religious beliefs and are morally in line with who I am. She was about development. My art teacher in high school really let us explore whatever we wanted. I did some of my most meaningful and connected works during that time. He was a safe person to express myself to through art and not be judged. What is something not a lot of people know about you? I’m not very good at any kind of physical sport, even though I’m tall. People assume I’m great at basketball, but I’m definitely not. Do you have any advice for the ladies of ChiTech? There’s a lot of pressure to decide every next step before you know what your choices are. But it’s okay to wait until you have all your options open before choosing. It’s easy to work yourself up to make decisions that aren’t even decisions yet. There’s something to be said about waiting and then making a thoughtful decision. Kimberly joined DRW Venture Capital in 2015. DRW VC, an arm of principal trading firm DRW, is a private investor in financial and enterprise technology. The team focuses on revenue generating and growing businesses that will derive value from DRW beyond capital: as a client, as a product advisor, and through our deep trading industry expertise. The current portfolio holds more than 25 investments, including OpenFin, Droit, RedSeal, Solarflare and Pico. Prior to DRW, Kimberly was an investor at Goldman Sachs on the Principal Strategic Investments team for nine years. She holds a BS from Wagner College and an MBA from Columbia Business School.